Koss has launched Cobalt Series of Bluetooth stereo headphones. 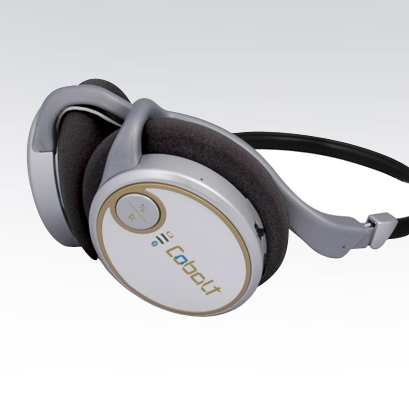 The Cobalt series Bluetooth headphones provide a 30 foot operating range. The battery life claimed by Koss for these bluetooth headphones are around 8 Hours. Koss provides all the necessary accessories required along with the package which I consider as a good move. What you can expect in the package? The Koss Cobalt� uses advanced Bluetooth frequency-hopping technology for interface-free audio. Providing a 30-foot range, you can move freely while taking a call, or listening to your favorite music or movies. Just working on your PC? The Cobalt is also sold with a USB dongle transmitter that allows you to plug into your computer. Incorporating a Lithium Ion battery, the Cobalt gives plenty of airtime with an approximate battery life of 8 hours. Just plug the transmitter into your computer, CD, DVD, or MP3 player and slip on the Cobalt. The Cobalt can also be used with a Bluetooth-enabled mobile phone. It simultaneously pairs with the phone, allowing users to answer calls with the same headphones used for listening to portable music players. The behind-the-head design of the Cobalt provides maximum comfort during long listening periods. Foam ear cushions allow for hear-through sound, and its dynamic element provides extended frequency response. The wider frequency response results in better overall sound performance for the Cobalt. For added convenience, push button volume controls on the ear cup allow for easy level adjustment. The Cobalt is also collapsible for protective storage and maximum portability when listening on the go. The Cobalt package includes the Bluetooth stereophone, Bluetooth audio transmitter, Bluetooth USB audio dongle, USB charging cable, AC charging adapter, and audio extension cable. Built to last, the Cobalt has a suggested retail price of $179.99 and is covered under Koss’ No*Questions*Asked Lifetime Warranty – the only warranty of its kind in the stereophone industry. Next post: What is Inside Apple Mac Pro ?